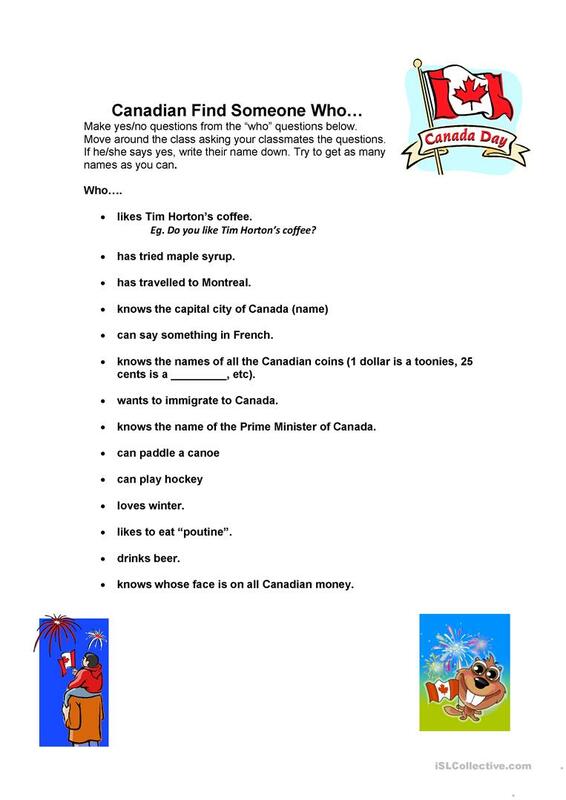 A great ice-breaker or Canada Day activity. This downloadable handout is a great resource for high school students and adults at Beginner (pre-A1), Elementary (A1), Pre-intermediate (A2) and Intermediate (B1) level. It is valuable for revising Questions: Yes or No questions in English, and was designed for honing your pupils' Speaking skills.